Cumbria is a veritable hotbed of strange activity. 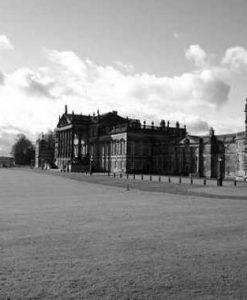 From ghosts and spectres to fairies and magical stone circles, this is an area with something for everyone. 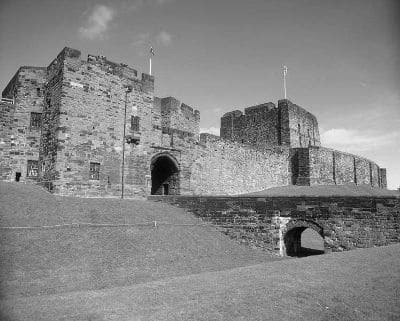 Castles are usually always a fairly good bet when it comes to spooky events and Carlisle Castle is no different. The castle dates back to 1093 when William II built it as part of his defence against the Scots. It is a Norman style motte and bailey castle built on the site of an Old Roman Fort. The castle has had a somewhat troubled history and has changed hands several times. 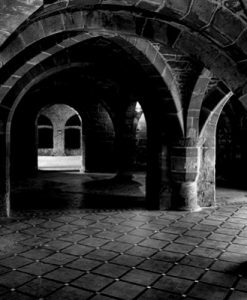 There has been such a long and violent history that we may even have expected a few more ghosts than those on record at Carlisle Castle. Let’s start with the most famous of the castle ghosts – the phantom lady. In 1823, a young soldier was on duty and was terrified by the appearance of a ghostly apparition. So scared in fact, that he attempted to run her through with his bayonet. When it passed through her he fainted. He never recovered, dying of shock the following day! It has been suggested that the appearance of this phantom lady could be linked to the skeleton of a woman dressed in tartan and holding a baby which was found bricked up inside the Captain’s Tower in 1820. She has been putting a an appearance every now and then ever since! In 1992, for three consecutive nights the alarms in the Kings Own Border Regiment Museum were triggered, but no sign of anyone could be found – at least not anyone living. This next location is not exactly haunted in the more traditional sense of the word. You won’t find spirits here – at least not human ones. Instead, the rumours surrounding the famous Beetham Fairy Steps relate to fairies, just like the name suggests! 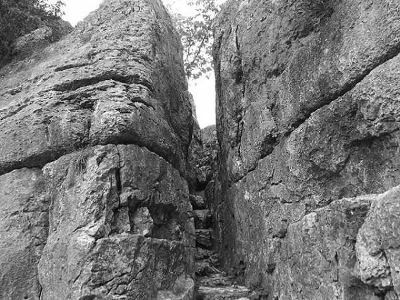 The steps are carved into a giant limestone boulder and they were originally part of one of the Lake District’s corpse trails which were used to transport the coffins of the dead to their final resting place. In fact, if you look closely, you can make out some of the iron rings that were threaded with ropes to haul the coffins up the incline. The legend linked to the site is that if you are able to make it all the way to the top of the stairs without touching the sides, then the fairies will grant you one wish! Castlerigg Stone Circle is one of Cumbria’s most breathtaking sites. It consists of 38 stones which vary in sizes and shapes. These are all completely un-hewn with some of them standing around 5 feet tall, although some of them have fallen over the years. This is only to be expected considering the circle is thought to be around 5000 years old. It is estimated that there would have been 41 stones originally making Castlerigg one of the most well preserved stone circles in the UK. There is very little doubt that stone circles can be magical and mysterious places, and this one is no different. The circle is famous for one particular strange occurrence – an unexplained light phenomena. In 1919 a man names T. Singleton and his friends witnessed balls of light ‘dancing’ slowly over the stones. This is something that has been reported in various stone circles around the word giving weight to the idea that they are magical places. The Kirkstone Pass In is a building which has a long and somewhat colourful history behind it and that is all part of its charm! The former coaching inn can be traced back to the 15th century and records show that it also has links to an ancient monastery, so it comes as no surprise that there seem to be several ghostly residents who are not all that keen on leaving! There are several tales of apparitions and spectres who are believed to be the spirits of travellers who died while making the dangerous journey along the winding Kirkstone Pass between Windermere and Patterdale. One of the most well known of these tales is that of ‘Ruth Ray’. Ruth was said to be travelling to Patterdale to visit with her ailing father and had her small child along with her. Unfortunately, the weather took a turn for the worse as it is apt to do in the area and soon the snow had gotten so heavy that she was finding it difficult to find her way. When Ruth did not return home, her husband set out in search for her only to be confronted by his wife’s frozen corpse. However, in her arms was the baby – tightly wrapped in layers and very much alive. 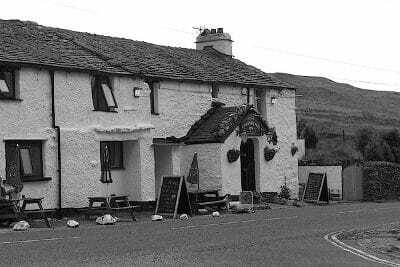 Ruth is thought to haunt the Kirkstone Inn to this day and it is believed that her appearance is actually a warning to travellers of bad weather rolling in. Ruth certainly isn’t the only spirit to have been seen here. There is also the ghost of a young boy who was apparently run over by a coach outside. Pictures have been snapped of a 17th century coachman in the bar area. There are also stories of poltergeist activity, the ghost of a woman who was hanged for murdering her child, a spectral hiker and a terrifying grey lady! Edenhall Country Hotel is set in the idyllic Cumbrian village of Edenhall. It is a picturesque hotel with a pretty exterior which hides a much creepier side to the hotel. 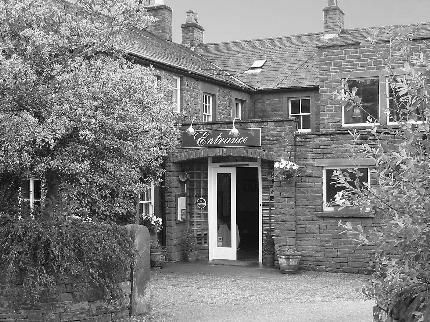 This is one of the most haunted places in Cumbria, and the ghosts have a habit of popping up in the mirrors! 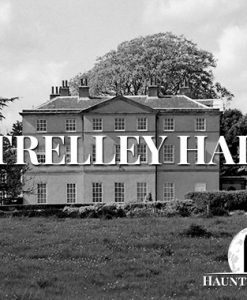 The ghost which is spotted most often at Edenhall Country Hotel is a female spirit who hotel staff and guest alike have seen in room 25 – which since renovation works has become room 4. She is often seen sitting at the end of the bed or she will appear in the bathroom mirror while guests are taking a bath. The mirrors throughout the hotel have seen more than their fair share of apparitions. In fact, the bar area used to have several mirrors above the bar. These have been removed now following a large volume of complaints from customers and bar staff that apparitions would frequently form in the mirrors! However, taking the mirrors away did not quite down the spirits. An older woman is regularly seen appearing in the bar area and she takes a chair in one corner where she has a great view of everything that is happening in the bar! 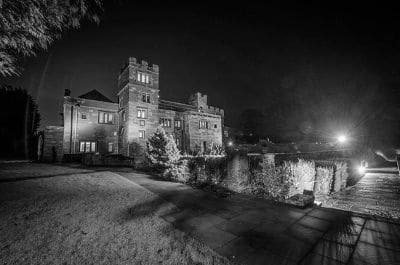 Dalston Hall Hotel was built some 500 years ago and it is said to play host to a large number of ghosts making it one of the most haunted places in Cumbria. The most prominent spirit is said to be that of Lady Jane, who is often seen walking around in the gallery above the main hall wearing Tudor style dress. 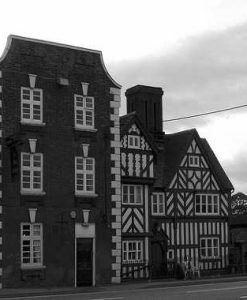 Another of the Cumbria ghosts who are said to call Dalston Hall Hotel home is ‘The Handyman’. He is said to spend most of his time in the cellar and is often said to move the barrels around. Also, on occasion where workmen have been busy inside the property there have been reports of ‘The Handyman’ also handing tools to the living workmen! He seems like a friendly enough spirit who is just keen to keep on working. He is described as being a big and very physical looking man wearing tweed trousers. He allegedly shares his cellar with a non-human entity who has been affectionately dubbed ‘Mr Fingernails’. This being is said to appear as a black mass and has long fingernails. It moves very quickly and will often loom over people to scare them. However, investigators have agreed that the entity is not harmful, just a bully who likes to scare people! It is not clear whether or not The Handyman and Mr Fingernails actually get along or not! 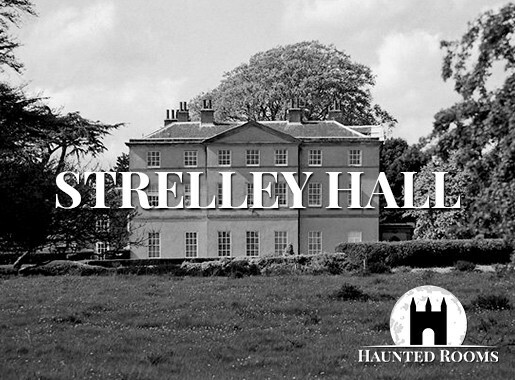 There are plenty of other spirits in Dalston Hall Hotel including a girl with a pale face who is often seen being dragged down the corridor outside rooms 4 through 6 by her hair. Witnesses have claimed to see her being beaten and even raped by a man in leather clothing who then throws her out of a window to her death. It is believed that she was a courtesan from the 1500s. There is also a group of three women and a little blond girl who are seen watching people going up and down the stairs, but they never do anything else – just watch. Another spirit is said to stand by the window in room 4 and staring into the distance. People who have seen her say they are overcome with sadness and that on some occasions an older lady comes to check on the girl.